Beara U10 Eamon Jer final has been postponed to a later date due to weather. Saturday 10th SeptemberUNDER 16 C FOOTBALL CHAMPIONSHIP2.30pm Kilmichael vs AdrigoleVenue Ballingeary This Sunday Sept 11th , Beara U10 final ( Eamon Jer cup ) Adrigole vs Urhan at 6.15pm . Venue Tousist . Best of luck to Adrigole's Under 14 Team as they take on Beal Atha an Ghaorthaidh tomorrow Sunday 4th Sept in Aughaville at 6pm in their championship semi-final. Please come along and support the team! Some of the team are shown here. 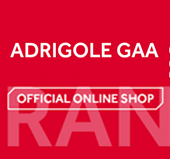 Adrigole had a tough loss to Youghal in the recently played Round 4 of the Cork County IFC in Incheegela. The final score was Youghal 2-06 to Adrigole's 00-06. Adrigole will now meet Millstreet in a bit to retain our Intermediate status for next year, venue and time TBC.